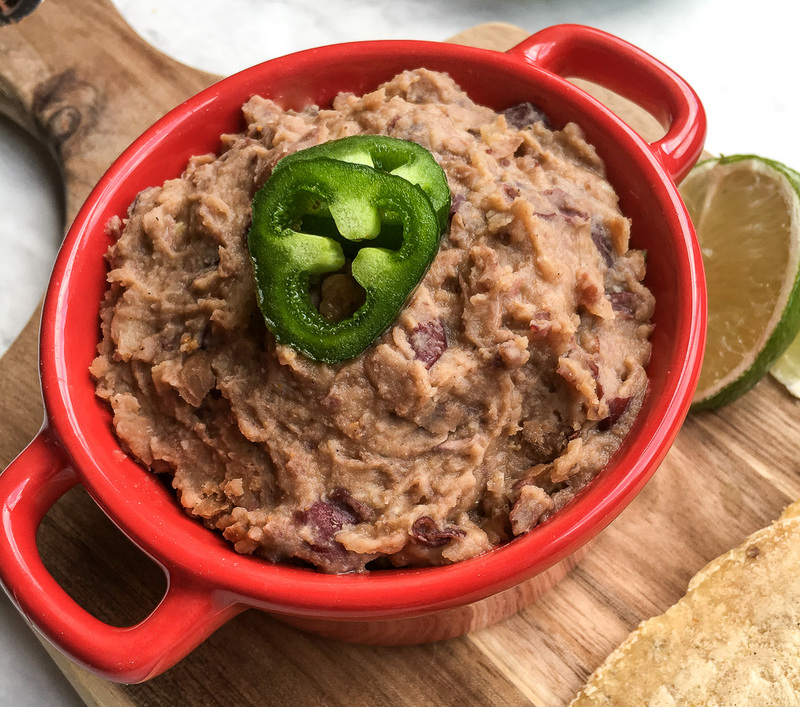 Traditionally, refried beans are made from pinto beans. I decided to add in some red kidney beans to shake things up a bit. I like them, but if your family wants a traditional version, then just omit them and add in one more can of pinto beans. You can also use refried beans for tostadas, burritos, adding to tacos along with the meat filling for a change. Go ahead and plop on top of tortilla chips for nachos with some grilled meat or vegetables. The possibilities are pretty much endless. Oh, and they make a great dip. Just stir in a little salsa and if you want it hot and bubbly, pop in the oven with some shredded cheese on top. Tip: For a more flavorful and authentic variation, substitute bacon grease for the olive oil in this recipe. 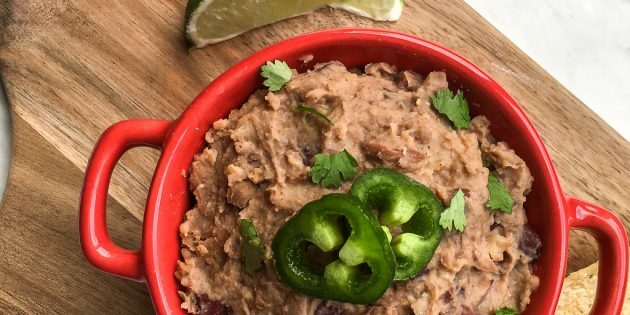 Talk about taking refried beans over the top! Remove from heat and puree beans with an immersion blender or a potato masher until almost smooth. Serve topped with fresh cilantro, if desired. My family loves, loves, loves Mexican food. So I will be sharing more this month. To lots of tacos! Enjoy!